I am just getting so tire of looking in the mirror at my 18 year old skin and it already looks like I have the skin of a 46 year old. I don't drink, smoke or do drugs and my skin looks so unhealthy. Right now, I am going to be using bio-oil on my temples and a bit of my forehead to see if it will help with the dents, Dan's aha on my chin and lower cheek area (the skin there when I smile ALREADY is wrinkling and looks rough when I smile or move my face..), jojoba oil on my nose to hopefully help with the sebaceous filaments (I read that using this oil will potentially lower oil production in the area), and this cream my dermatologist gave me on my upper cheeks for redness (I don't see any differences). Will any of those products help me? I am scheduled to do my second appointment of 'laser genesis' on my cheeks for the redness, I feel like they're scamming me though. I'D RATHER GET RID OF THE DENTS FIRST THAN THE REDNESS!! It's $150 per session only on my cheeks!! & to 'see' a difference you have to do it 3-6 times! Help PLEASE!! I need input!! You've been off of Accutane for three months and you are putting a laser on your face. I reccommened not putting any lasers on your face. 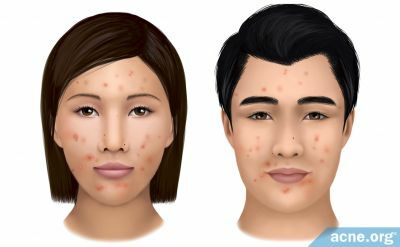 The skin and the repairment mechanisms of the skin become weakend after accutane. One does not simply hope results will happen. Wait at least 6 months post accuatne to start doing treatments on your face. Once those six months pass, Start with less intrusive treatments. Like messaging the skin to improve ciculation which will in turn raise the acne scar, or less intrusive facial peels such as a Glycoic Acid Peel. However, i don't reccommend laser until one year after necause it is more intrusive. The Bio-Oil is probably a good moisturizer as it will asssit you repair your skin. Also the most important thing is sun proctection. 1st choice: avoid the sun as often as you can, 2nd choice: put on sunblock when your exposed to the sun. Also make sure you get a proper viatmin d intake, easier than you think with a plethora of vitamin d food available. Deal it like a man. Your 18 and focus on year studies for this school year, and when next summer comes around you can assses your situation once more. 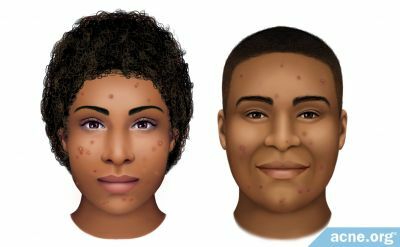 At the end there is no reason to become depressed because, more likely than not, you will remove the majority of your acne scars/problems in the future through carefully selected procedures and more importantly with patience. I'm telling you from experience. I was on 40mg most of the time at 114lbs at 5'3". Should I cancel my laser appointment? It's not technically a laser, but moreso a light therapy, it's heated though. Wow, I'm kind of angry that my dermatologist didn't take that into account, my skin doesn't even look like it's healing at all. & is it an issue for me, it depressing me soewhat because I'm a girl... I feel like people think I am dirty or don't take care of myself because I have these dents and marks all over my face, I'm terrified of pictures unless I have some sort of foundation on Sorry for complaining about all of this. Well if you said that you would rather have your acne scars go away than your redness then why are you having this "laser genesis" procedure. Another benefit by simply having patience is that the redness disappers, with appropriatte skin maintance. Also right now, you just finished accutane a little less than three months ago. 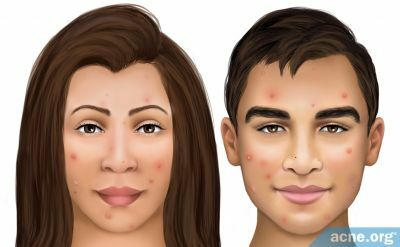 Your skin needs at least an additional 3 months for it to have the neccessary "strength" to withstand an invasive procedure that wil treat your acne scars. What kind of scars you have? rolling, ics pick, boxscar? TCA Cross, when used wisely, is very good at eliminating ice pick scars. Subcisiion is mainly ment for rolling scars and also yeilds incredilble results. From what it seems its that you want to treat your scars. And to do that you first objective is to wait and research and to arm yourself with knowledge about the various procedures out there. from suffering from acne and acne scars... I know feel loots better but I really worked on my patience... Good luck! 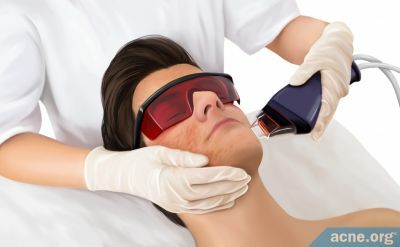 Your dermatologist is a idiot if he is suggesting any sort of laser treatment. It is a year wait before you can get laser work done. If you go though with getting this done you are asking for issues. You have to wait it out and see what improves over the year. Save yourself the money. 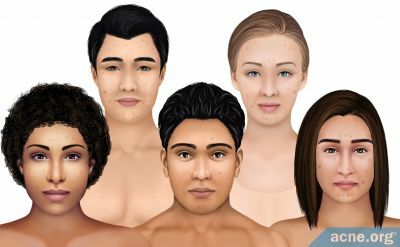 There are so many amazing people with imperfect skin. Society wants us to be focused on the "beautiful" people, when in fact, they are more messed up than most! Everyone has insecurities... everyone!! In life, if you lead with your smile and have an open heart, the rest will follow!! !